This was my second time participating in Alaska Airlines' Weekend Wanderer initiative, although this project in snowy Crested Butte, Colorado was special for a couple of reasons: it was the first social campaign both Nick and I were hired for, and we were able to fly on the inaugural flight from Los Angeles to Crested Butte! 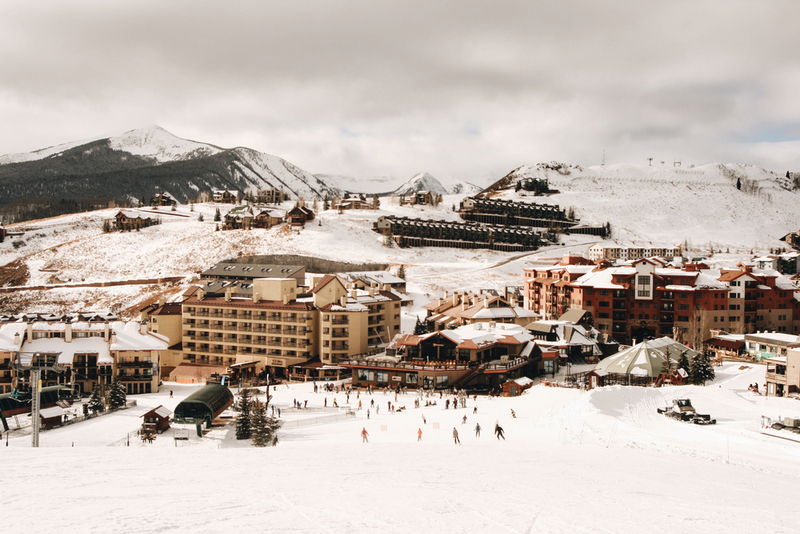 We had a blast wandering around "Colorado's Last Great Ski Town," a nickname accurately dubbed, we quickly realized ,as we discovered that this place was unlike any other. Coming from Truckee, a small ski town nestled in the mountains, I assumed Crested Butte wouldn't be too different, but it really does have a charm all its own. This is a SMALL town (year-round population is just shy of 2,000). Everyone really does know everyone. There aren't any fancy hotels and resorts; the homes still have that authentic mining feel Colorado is so well known for. We were most impressed by the "townie cruisers" everywhere — yes, people ride beach cruisers on snow covered streets in 6 degree weather! Nick and I created content for our social channels and took over the Alaska Airlines Instagram account during our stay. We had so much fun adventuring together! Memories include our morning coffees at local roastery First Ascent, a romantic sleigh ride dinner to Uley's Cabin, and lots of snowboarding at Crested Butte Mountain Resort of course. Make sure to check out our recap of the trip on Alaska Airlines' blog!